Remodeling your home and building on a new addition can really transform your home for the better. Adding a new addition is ideal for a family who wants to remain in the same home. You have plenty of options for additions. You can expand, add up, over, or out. The best part about adding an addition to your home is that it adds value to your home. If you ever decide to move and have put additions on your, you can most likely get more for your home. 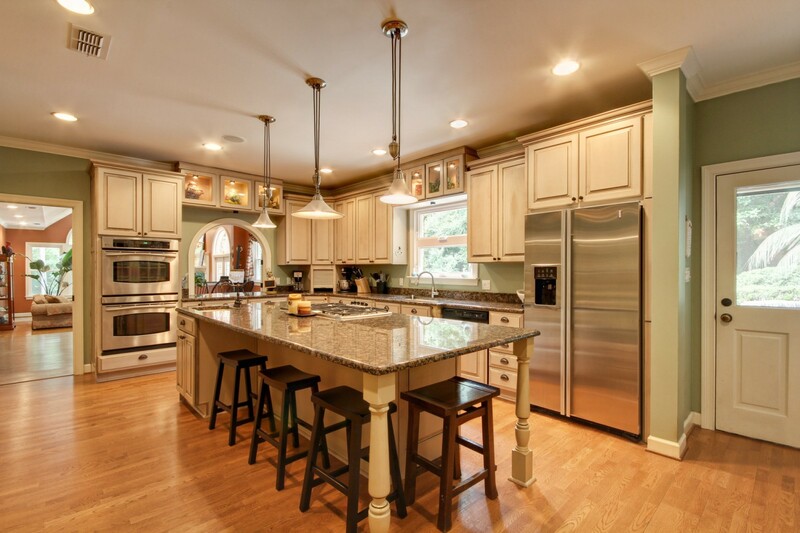 Kitchens continue to be the most in demand renovation for a home. There are many ways to keep up to date with your kitchen. Nowadays it’s better to get Energy Star labeled appliances. It saves more energy and saves money on your electric. Updating the ventilation, building a kitchen island, and adding large windows will give your Kitchen a nice spruce. White cabinets continue to dominate, while the wood grains style is going out. Another great reason to keep your kitchen renovated is to improve your home value. Most people like to see an updated kitchen when buying a home. The Master Bedroom is another room you should keep updated. The combination of the master bedroom, master bathroom, and master closet often recreate the feeling of a very high end hotel. Adding an upstairs den in the bedroom is another great renovation. A den adds a lot more room and makes the bedroom seem more cozy and relaxing. For the master bathroom, its best to have indulgent amenities. Having a roomy tiled shower with dual shower heads or a custom spray system is definitely in style. Nothing is more relaxing than having a spacious shower with dual shower heads offering an excellent shower experience. For most, mudrooms are a must have in their home. It helps so you don’t have to track mud or anything else into your home. They’re also great for extra storage for coats and shoes. Now, mudrooms no longer need to be a dedicated room. Get creative with space; carving out nooks for benches, hooks, and cubbies. You can add all these in hallways, laundry room, and even your kitchen. Once you get creative with your space, you can start renovating your old mudroom and making it an actual room you can get use out of. There are many different options out there today when it comes to flooring. Sometimes buying “real” tile or hardwood flooring can end up being very costly. There are tile options that look like hardwood flooring as well as engineered stones that closely resemble marble. These man made options require much less maintenance than a living finish. They are more durable and it makes them less likely to stain or chip. This is a nice way of renovating and not going broke to do it.